Regular readers will know that I have a high regard for the Co-op wine buyers who regularly bring us wines of reliable quality at reasonable prices. Their latest wine promotion begins this morning with useful reductions on familiar favourites like Fruit Orchestra Chenin Blanc Viognier (down £2 to £6), Unexpected Red (down £1 to £5.50) and Les Jamelles Syrah (also down £1 but to £6). For me, though, the high spots were two reds and those are the wines I have chosen to feature today. Supplementing those selections are our usual features – Best of the Rest and a Top Tip (on analogies with fruit this time). As usual, a bottle shot is provided to help you find the wine in a crowded display. In his excellent book Grapes & Wines, Oz Clarke describes Spanish mourvedre (which this is) as “rarely bringing much distinction” in the wake of its high tannin and alcohol. Happily, he lists Jumilla (home to this version) as an exception – and the quality on display here certainly confirms that judgement. Relish, then, the mellow depth and juiciness of 2017 Albacea Monastrell (£9 – instead of £10 until 19 February 15% abv) with its full but smoky blackberry and mulberry fruit, good acidity, touches of cocoa and lavender yet surprisingly mild tannin. My “Magic Bullet” section steals that term from the medical profession who use it to signify something that delivers benefits without side effects. Here, it means wine that tastes good and makes you look savvy but avoids the side effect of costing a lot. It is easy to think only of shiraz when considering the South Australia wine region but, south of Adelaide, excellent cabernet sauvignon is produced – like this one from the Limestone Coast. 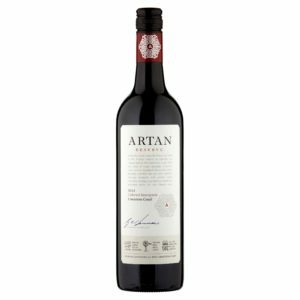 Textured and toasty, 2017 Artan Reserve Cabernet Sauvignon (£8 – instead of £9 until 19 February and 13.5%) delivers rounded plum and loganberry fruit with firm acidity, limited tannin coupled with suggestions of baking spice, toffee and eucalyptus. It’s a struggle to find reliable white Burgundy – even regional ones – at a good price so a hearty welcome for this offering made, I think, by the Co-operative at Prissé and on promotion since yesterday morning. 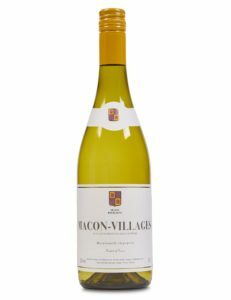 Understandably given its price point, 2017 Macon Villages (£7 – instead of £10 until 4 March – at M&S and 12.5%) is not excessively complex wine but it has those essential ingredients of fresh citrus peel acidity and reasonable levels of texture which are coupled here with red apple, ripe melon and white peach fruit. For many people, chewy tannin was something of an “occupational hazard” with the Chianti of yesteryear. Nowadays modern winemaking has lightened things a lot – culminating perhaps in this surprisingly light version that, nevertheless, provides most of chianti’s flavour characteristics. You will find, for example, nuttiness, graphite edges, a long finish and black cherry fruit all surfacing in 2017 Chianti (£5.25 at Tesco and 13%) which, when combined with nutmeg spiciness, good acidity and suggestions of plum and loganberry, makes it great value at just over a fiver. Even at the risk of over simplifying things, wine writers often seek uncomplicated ways to help folk quickly hone in on wines they are likely to enjoy. Today I attempt to do so by reference to the fruits different grape varieties bring to mind. There is a risk here because it is often in the “fruity” descriptions that wine commentators attract most ridicule – with dubious and fanciful comparisons. Dodging the brickbats and accusations of pretentiousness, I would argue that the best way to describe something unfamiliar is by linking to something that is well known. Here, then, are a few pointers about what fruit flavours you can normally expect to find in some of the most common red grape varieties. Given the gallons of wine produced around the world, there will be exceptions – but here are a few frequently encountered similarities. With cabernet sauvignon expect the fruit base to centre on blackcurrants – sometimes supplemented by plum or even prune influences. Along with spiciness, shiraz (aka syrah of course) usually provides something deeper like blackberry or even blueberry. Merlot tends to be more single mindedly fruit driven and those fruits are usually lighter with cherry and red plum flavours often encountered. Cherry also figures prominently with tempranillo – where fuller versions offer black cherry elements while young wines can be much more like sour cherries. There can be cherry touches to malbec too but the dominant theme is more usually loganberry or its lighter, softer relative – raspberry. Lightest of all, of course, is pinot noir where raspberry components are often accompanied by strawberry and red currant touches. So, just for a change, start at the other end of your wine selection process. Decide what fruit flavours you particularly enjoy in your red wine and then go searching the wine aisles for bottles with labels giving prominence to the grape variety associated here with your favoured fruit. Finally, use this site’s comments facility to tell me whether it works for you or whether I really am a pretentious, overly simplistic old windbag! Must agree with you in regards to the quality of wines from the Co op , although I must admit I use to find some pretty good discounted bargains (end of range etc) especially in my local store, not so much now, maybe they are getting wise to the fact that their wines are decent and will sell at full price, most bottles discounted now are only £1or £2 off with the occasional (very occasional) real bargain. I love wines from Jumilla and especially Monastrell so I will try the one you highlighted. I’ve tried the Unexpected Red and as they label says it’s not what I expected but it was pretty good for the price. Les Jamelles is always reliable and the Artan is now on my list to look out for. Yes I have noticed that since most retailers abandoned their (possibly spurious) “half price deals”, discounts of a pound or two are much more common – and more realistic in my view. Knowing your love of Spanish wines, I think that the Jumilla will really tick boxes for you – but keep us updated.